I try to post a photo every day but it really is more of a couple of times a week photo blog. 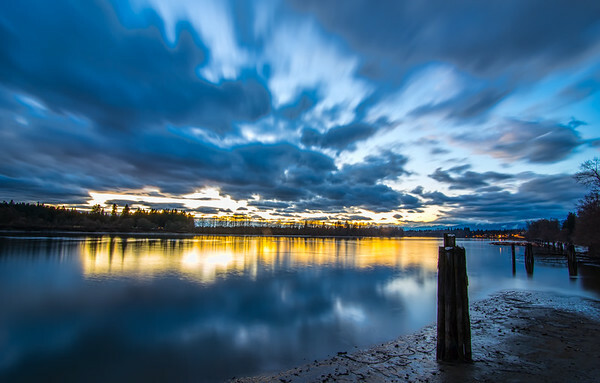 The Fraser river just after sunset while there is still enough light to make the clouds a nice blue color. Copyright © 2018, Souvenir Pixels. Some rights reserved.